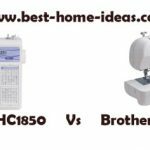 An excellent low cost beginners sewing machine, you can describe Brother XL2600I that way.The best sewing machine you can get for under $100. 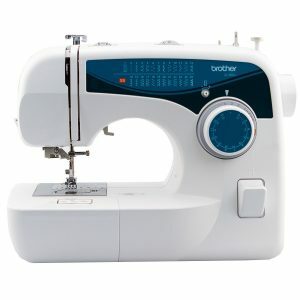 Brother XL2600I comes with 5 presser feet, lamp for work area and a built-in free arm for sewing cuffs and sleeves. The box comes with an accessory pack which includes almost all required tools for sewing. 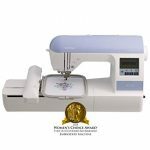 Brother XL2600I comes second in the list of top 10 sewing machines available U.S published by Sewing Machine Reviews. Professional sewers might feel Brother XL2600I as a sewing machine with limited options. However, it is a great sewing machine for beginners and intermediate users. it doesn’t cost much as well, it is the best machine in under $100 price category. The bilingual user manual leaves a lot to be desired. It is very hard to pick between English and Spanish. It is tough to understand the parts with the provided user manual. Other than that, it is a pretty useful sewing machine. Brother XL2600I is light in weight and easy to use. The reverse stitching option for locking in the stitch is pretty useful. The lighting is pretty good and illuminates the work area well. The foot pedal is very smooth and you can easily regulate the speed. The built-in free arm makes sewing pant legs and other cylindrical items easy.One area where Brother XL2600I struggles slightly is when sewing heavy weight fabrics. Carrying case is not included as well. But that will be asking too much from a sewing machine priced under $100. 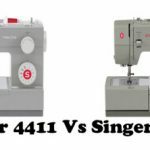 Overall, if you are a professional or a person who sews a lot, you will be better of buying an automatic sewing machine like Brother CS6000i. 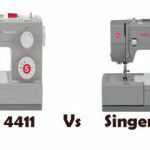 If you are a beginner and is looking for an inexpensive one, you will never get a better sewing machine than Brother XL2600I, at least in U.S. 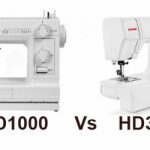 It is the best sewing machine available under $100.